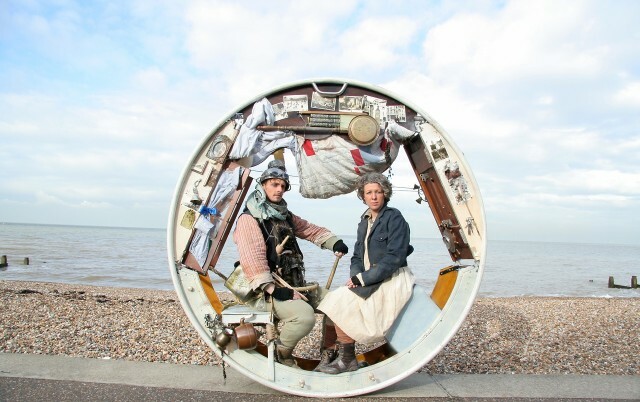 “The Wheel House” is a theatrical performance that occurs within a circular rolling structure. Two performers play mysterious travelers who live in a rolling house—the movement of the house provides unique opportunities for acrobatics, feats of daring, and physical comedy. 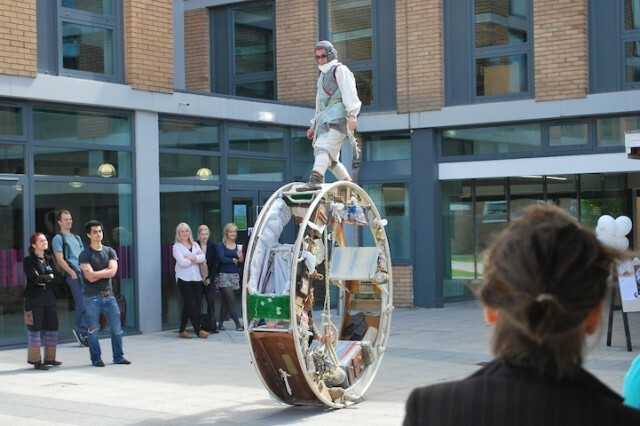 The performance is designed to be mobile, as a roving street performance or a narrative show that requires the audience to walk alongside. 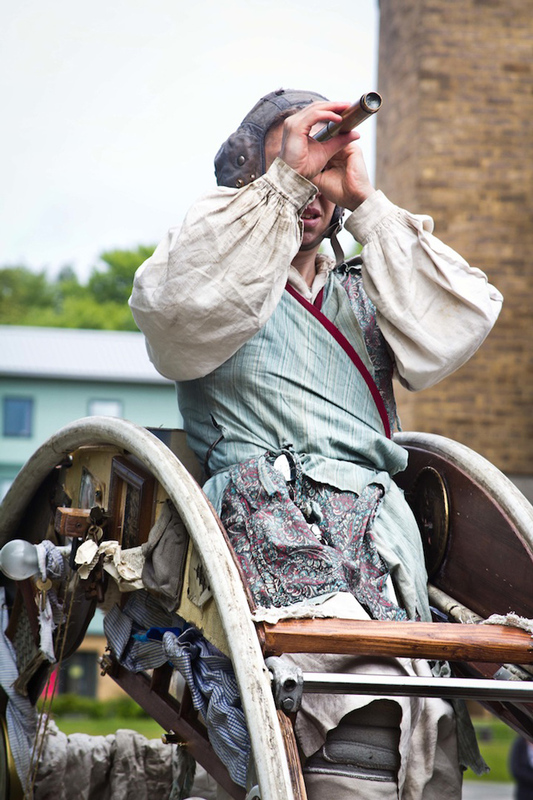 “The Wheel House” is by UK circus troupe Acrojou.